There is a saying in Hebrew: "the shoemaker walks without shoes". Well…it's also the case with scrapbook designers! 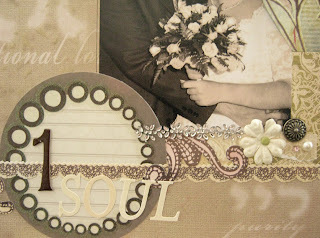 I don't have a designed, beautiful wedding album! After 15 years of marriage I decided to change that and start working on it. That decision was about a year ago and I haven't made a lot of progress. 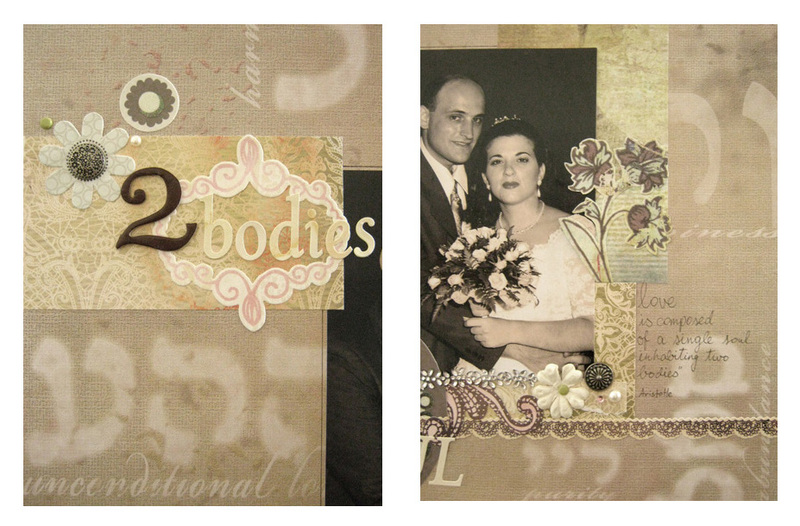 I only made a few layouts and I still have many more. 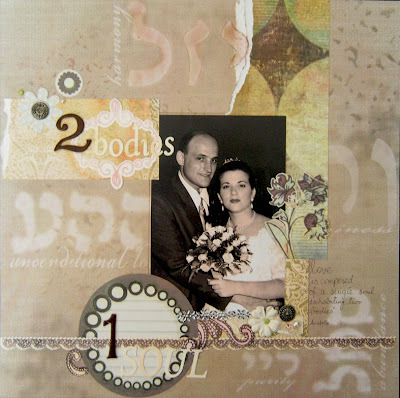 This layout is one of the few I did and it is designed with a patterned paper from the Einat Kessler's collection. This paper has combinations of letters from the Kabala that are believed to bring different blessings. See you next time at CHA! I love your layout. Where can I buy your papers? ?